British pubs are everywhere in Japan these days. They, along with their Irish counterparts, are common drinking venues for both expats and Japanese eager for a cozy, dimly lit atmosphere, hearty pub fare such as shepherd’s pie, fish and chips, and a tempting variety of draft beers. Pubs are now so numerous in Japan that it’s interesting to reflect upon the time when they weren’t. 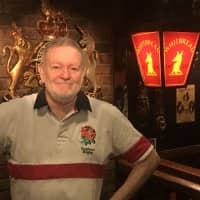 John Watkins, founder and owner of The Tavern, has been in the business since the English pub in Japan was an exotic rarity. A native of Bristol, where he studied photography, Watkins eventually made his way to London before being hired at 22 as a photographer on passenger ships. It was through his cruise ship job that Watkins was introduced to Japan. Regularly pulling into Kobe and Yokohama and taking on Japanese passengers, Watkins noted that no one among the ship’s crew spoke Japanese. Thinking it would be interesting and advantageous to learn, he took a six-month leave of absence from his job to study at a language school in Tokyo. He also had an active social life and enjoyed going out drinking; yet he felt there was something missing. Thus Watkins made his decision: He would settle down in Japan and open Yokohama’s first English pub. 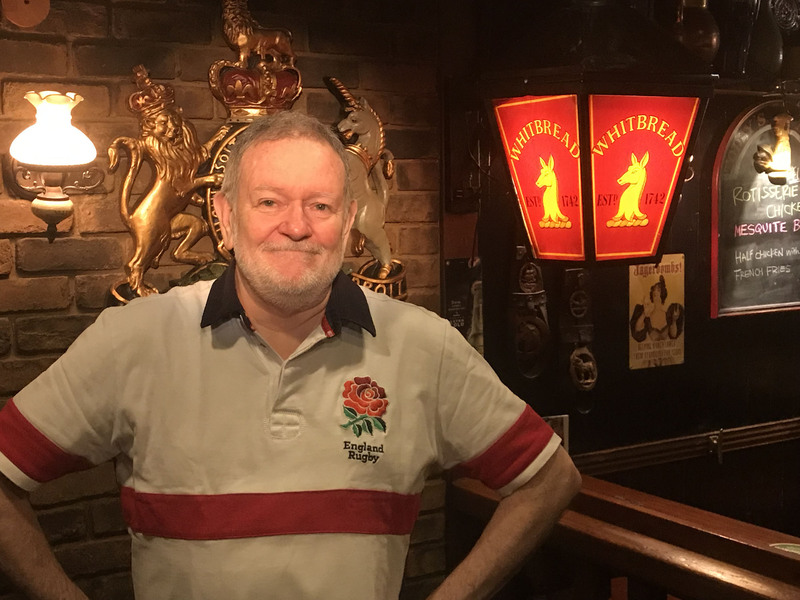 “Considering the long history of Anglo-Japanese relations, especially in Yokohama, I was amazed no one had opened a pub here before,” he says. With no pub experience except a part-time stint during his student days, Watkins opened the first Tavern in Yokohama’s Chinatown in 1985. Establishing and maintaining a high quality of food, drink and service were essential to Watkins’ vision for his business. Beyond this, he also wanted to create an authentically British pub. Despite the initial and lasting success, however, there were challenges to overcome. “It was very difficult to buy a draft pint of British beer anywhere in Japan,” Watkins says. “There were cans of some European varieties and the usual mass-marketed American beers. Also, bars serving draft beer normally had a big stainless steel dispenser on the counter, with one tap. The beer would be one choice: one of the four major brands of Japanese lager. Everything else was bottled beer. “So I said to my supplier that I wanted draft beer, and he asked, ‘When shall I come back to take the dispenser away?’ I said, ‘What do you mean?’ He explained that most places served draft beer only in the summer, so the machine would be installed from June to September. He was surprised to hear I wanted to serve draft beer permanently, but of course he agreed, and then I had this big machine sitting on the bar, looking terrible. “I then arranged with a local engineering firm to modify the dispenser with new fittings and a hose, so I could place it under the bar, and imported a tap from England. While the Tavern’s decor and ambience are English, the customer service is fully geared to Japanese expectations, including a focus on efficiency and having service at the tables. Watkins also notes the wide variety of cocktails on the menu compared to what one would typically find at a pub in Britain. His wife, Nozomi, helps run the pub and keeps a keen eye on current drinking trends to adapt to their menu, such as the vogue in Korean makkori several years ago and the whiskey highball’s recent surge in popularity. As might be expected, one concession to modern technology in this otherwise Victorian atmosphere is a big screen TV to watch sporting events. “We show a lot of soccer and rugby, but rugby gets the priority. (Because I love rugby!) We’ll definitely be showing the games during this year’s Rugby World Cup,” he says. Watkins has strongly held views on maintaining beer quality, stating it’s something that you can’t compromise on. Watkins maintains a passion for his job. “The quality of the food and drink, the lighting, the volume of the music, it all has to be perfect. I don’t want a complaint, ever. So it may not look like it, but it’s hard work,” he says, adding that the hard work is worth it, as he gets to meet so many different people. For more information about The Tavern, visit www.the-tavern.com.